Daniel Burnham, visionary behind the World’s Columbian Exposition and The Plan of Chicago, said, “Make no little plans. 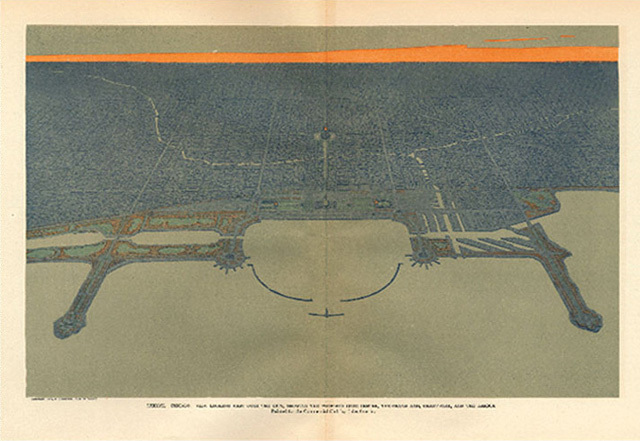 They have no magic to stir men’s blood and probably will not themselves be realized.” And so I begin my exploration into Chicago’s Architecture with a big undertaking indeed: discussing the 1909 Plan of Chicago. 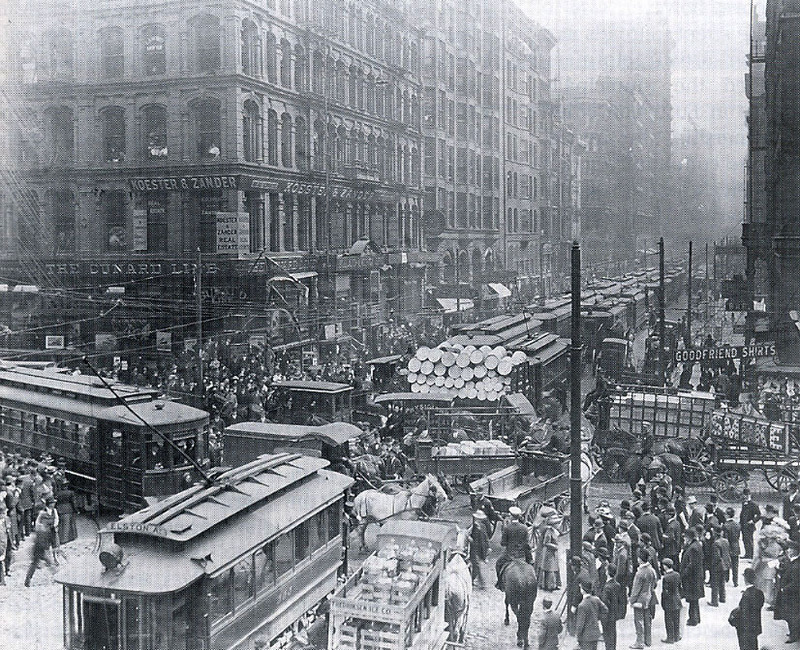 At the turn of the 20th century, Chicago was still a relatively new city. It was first incorporated not long before in 1837. As you can imagine, going from a population of just 3000 in 1837 to nearly 2 million in 1909, much of the city was put together in great haste (and not great planning) to accommodate the influx of people into the city. A plan was needed to put some order to Chicago’s chaos. Luckily Chicago did not end up looking just like Paris as Burnham wanted and instead boasts one of the most architecturally diverse skylines in the world. But many of the important ideas of the plan were implemented and some are still being worked out today. Improvement and Public Reclamation of the Lakeshore. Despite a document dating back to 1837 which decreed that Grant Park remain “Public Ground – to remain forever open, clear and free of any buildings or other obstruction whatsoever,” it and the adjacent lake shore land has always been threatened with development. 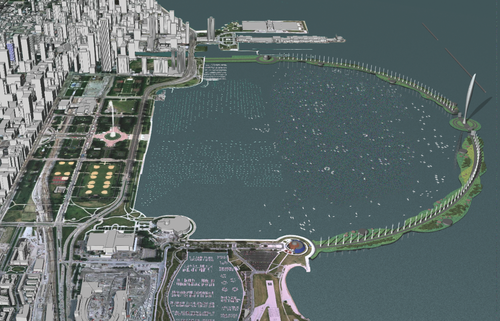 The Plan was key in making sure that today both Grant Park and the lake shore is kept undeveloped. Today of the 29 miles of lake shore property, only 4 miles are privately developed. The only threat today: Mayor Daley fighting to move the Children’s Museum into Grant Park. The Widening of Michigan Avenue. Michigan Avenue wasn’t always as lovely as it is today. Though many fine cultural institutions, clubs, hotels and offices had moved in after the Great Chicago Fire, the street was still made out of dirt and very congested. According to the Plan, Michigan Avenue was paved and widened – only then did it become the impressive boulevard it is today. Expansion of the Emerald Necklace. Based on John Wright’s 1849 plan, William Le Baron Jenney–father of the skyscraper–began developing a series of parks that made a ring, the Emerald Necklace, around downtown Chicago: Douglas, Garfield and Humboldt Parks with connecting boulevards. The Plan helped to further develop the parks and expand the connecting boulevard system. 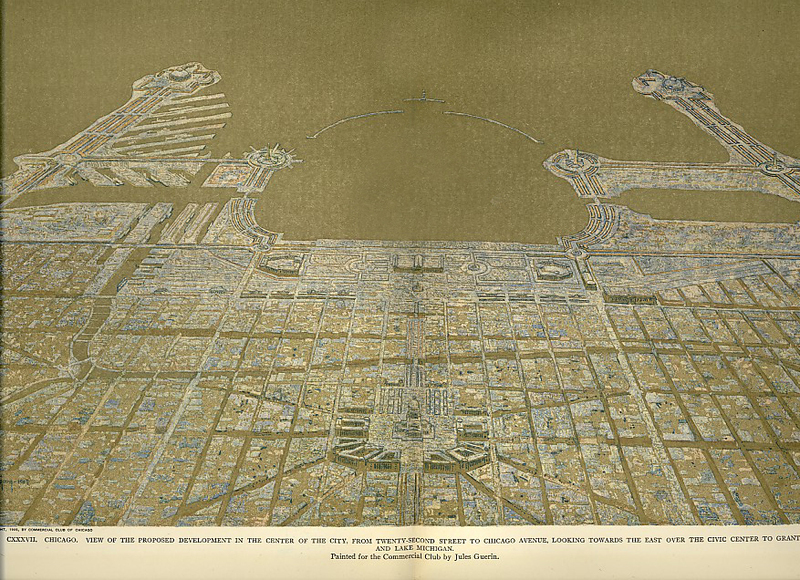 Below are a couple of examples of Jules Guerrin’s drawings of the 1909 Plan (which I happen to think are truly fabulous). I just singled out a few ideas out of an entire book of ideas. One element that was seriously lacking from the final Plan were ideas on social reform within the city. Though Burnham wrote extensively on this subject in his first draft, somehow they were omitted from the final copy. Where the Plan was successful was in ideas for BIG infrastructure improvements – some of which are still being worked out today. I’ll end with one of my favorite examples on how we’re still building on Burnham and Bennett’s Plan: Smith and Gill’s idea for an Eco Bridge that would both look to the past in completing the last major recommendation of the 1909 Plan, while also looking forward in turning it into something environmentally savvy. For more information on this Eco Bridge visit Adrian Smith and Gordon Gill’s Website.